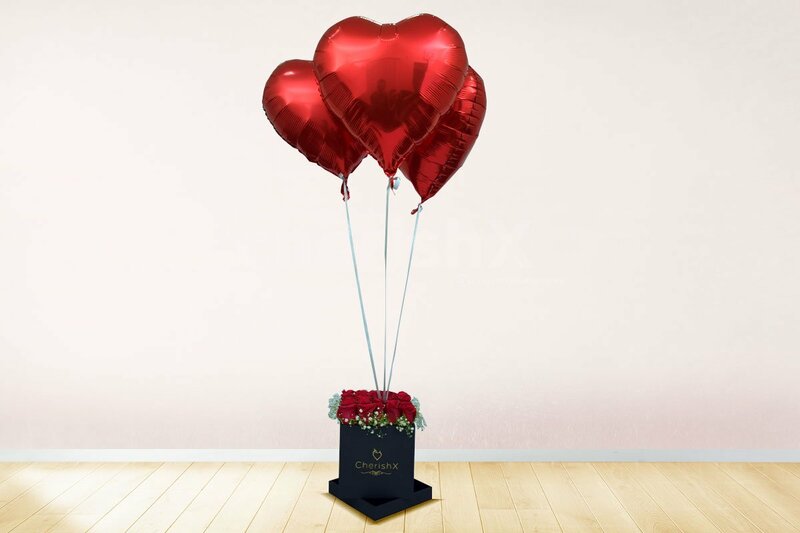 Amaze your partner on Valentine's with these beautiful 3 heart-shaped foil balloons & rose bucket of 25 Roses. Delivery is subject to availability in areas like Greater Noida, Ghaziabad, Faridabad and Manesar. 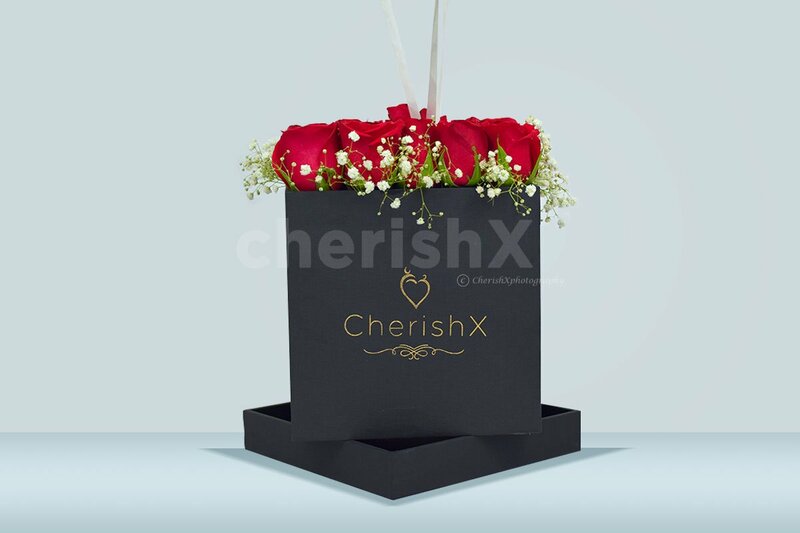 Add a love topper in your rose bucket amidst the roses. Want to gift something useful? 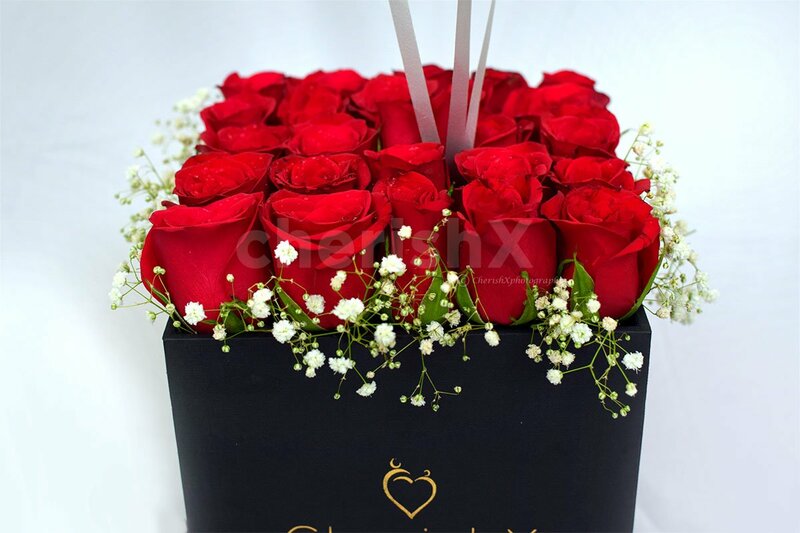 Replace the roses with 25 ferrero rocher chocolates.